An ancient city with a young heart, Mexico’s capital is a design lover’s dream. Mexican designers thrive in an environment where they can explore new and innovative techniques; the feeling that anything is possible is potent across this bustling megalopolis. 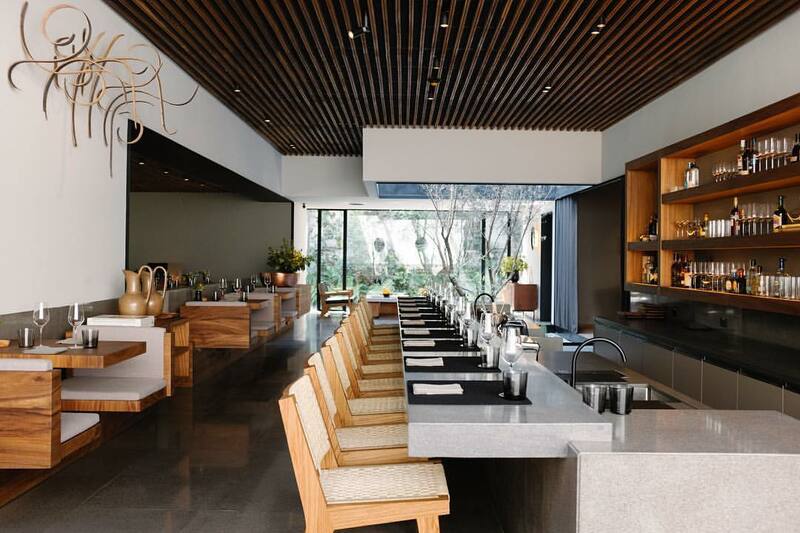 The gastronomic landscape is also bubbling over in a city, where just under twenty years ago Chef Enrique Olvera spearheaded the concept of Mexican fine dining, with many others following suit soon after. 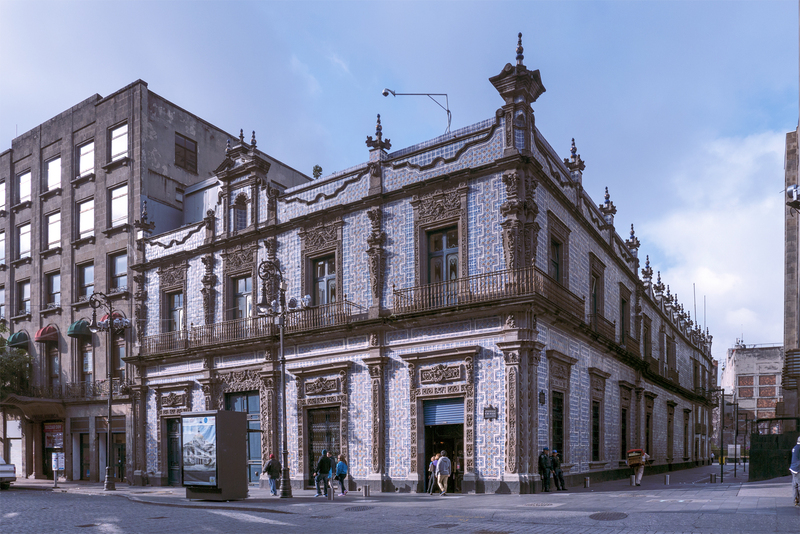 The restoration and redesign of impressive old buildings to house contemporary, world-class restaurants is perfectly in line with the innovations happening in Mexican cuisine. 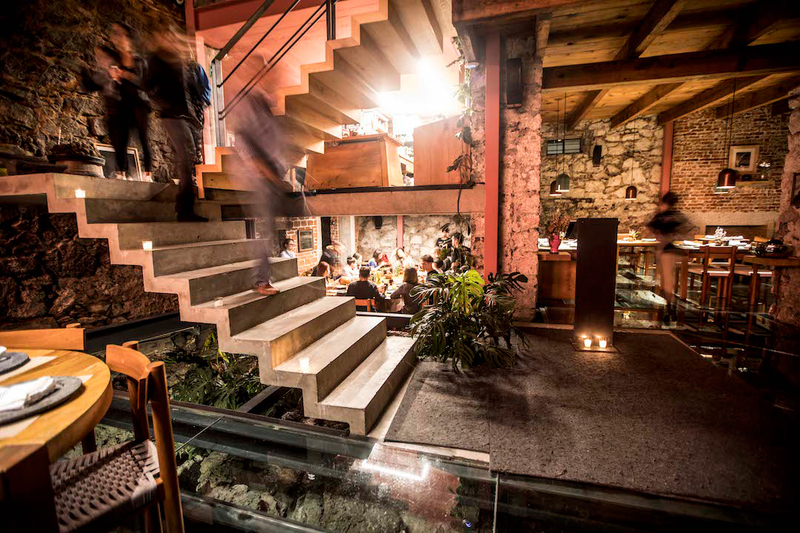 Here, we bring you the tastiest Mexico City restaurants for design lovers. Mexico’s top restaurant recently moved to a new location just a hop and a skip from where it originally stood. Chef Enrique Olvera called upon JSa Architects to create an elegant yet cosy space, which is kitted out with furniture by Micaela de Bernard. Clean lines, warm lighting and a tree-lined patio for after-dinner aperitifs create a homely environment in which to enjoy the creations of the city’s top chef. 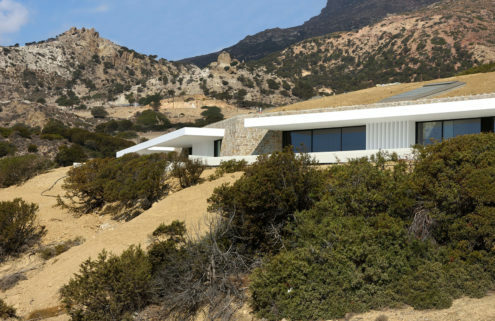 The stables of Casa Pedregal – designed by Luis Barragán – were transformed into a restaurant, library, music archive, yoga studio and art-residency in 2014, collectively known as Tetetlán. Designer Cesar Cervantes and architect Jorge Covarrubias introduced glass floors to allow guests to see the volcanic rock below and offset old brick walls with ‘Barragán pink’ metalwork. Taco joints are generally more functional than design-oriented, but El Califa has raised the bar, using the tortilla as a guiding design piece. 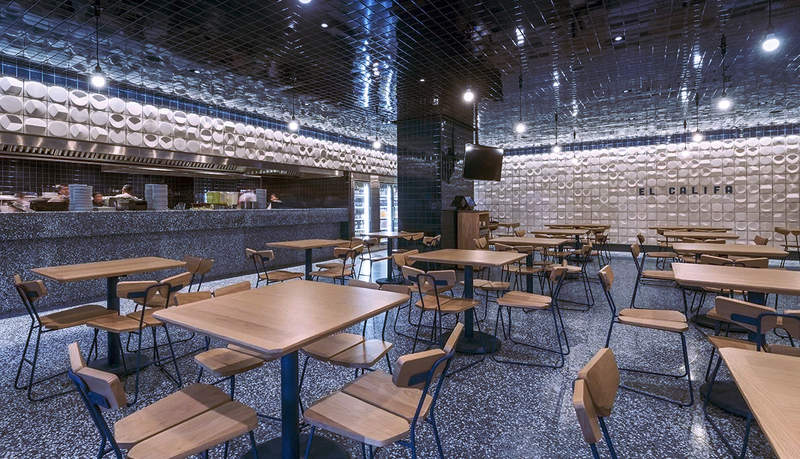 Esware Studios have lined walls with white, circular tiles showing how tortillas can be folded in different ways – an effect multiplied by the reflective ceiling and terrazzo flooring emblazoned with a golden circle motif. 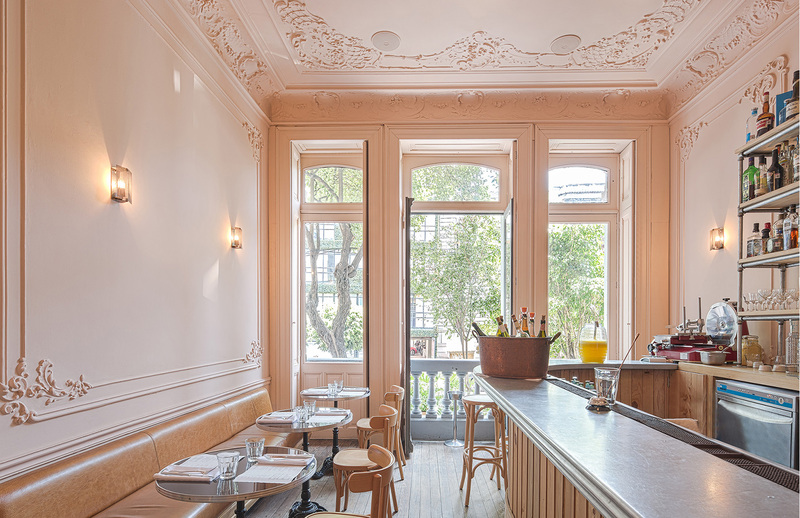 Inside a once derelict mansion, Havre 77’s high ceilings, original cornices and stained-glass windows are offset with smooth concrete walls, modern light features and a zinc-topped bar. French-café style tables give a Parisian feel to the space that would likely have been home to the early 1900s bourgeoisie. 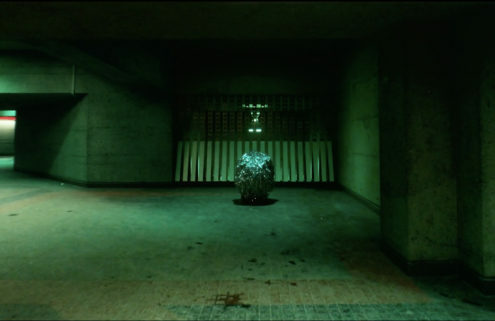 Take a closer look at Havre 77. 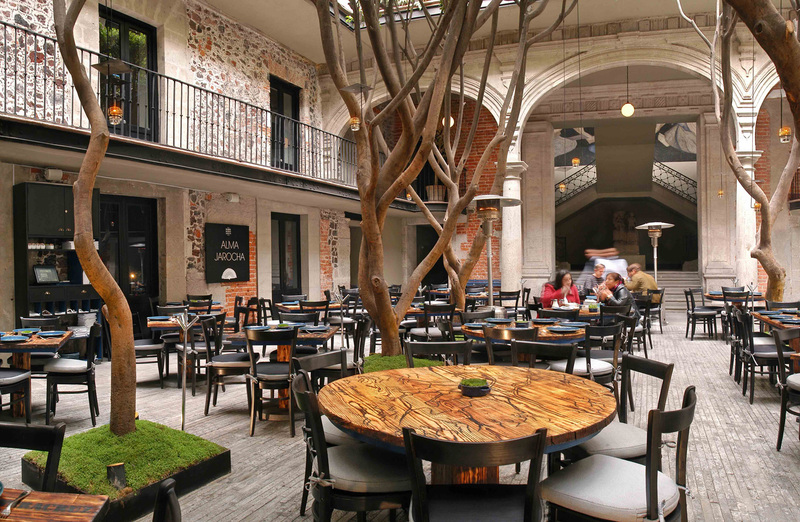 Designed by Kababie Architects in 2012, this Mexico City restaurant has a timeless feel thanks to its historic surrounds. Set within the patio of a 17th-century mansion, the restaurant, which serves high-end Mexican classics, encompasses trees and a backdrop of Moorish arches. The mansion also houses Grupo Habita’s Hotel Downtown, so design buffs may want to check out the lodgings after dinner. With its last major redesign being back in 1917, Sanborns is something of a time capsule. Housed in Casa de los Azulejos, it comes with Grecian pillars, carved cornices, stained glass windows and murals harking back to a time of great opulence in Mexico. Art lovers should make a bathroom pitstop to see the Omnisciencia mural by Jose Clemente Orozco. 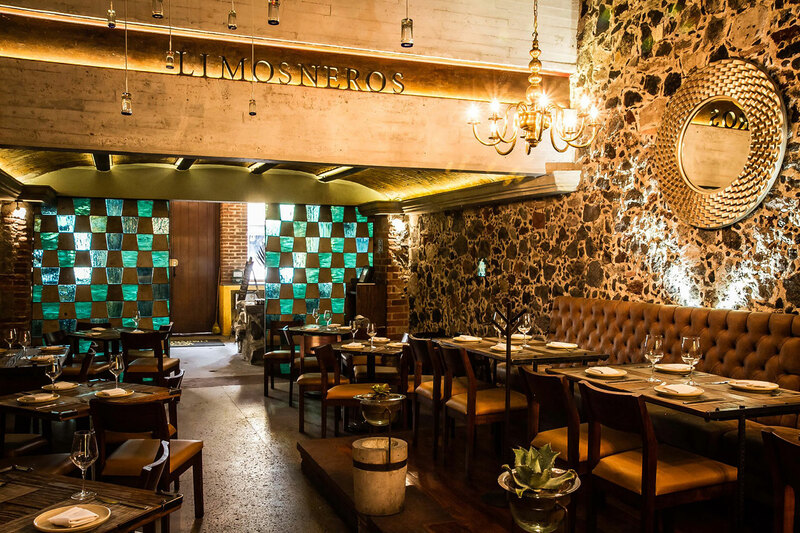 Sixteenth-century mosaic stone walls, built using donations of the faithful to the church, are offset by modern design in this cavernous Mexico City restaurant, which serves a number of insect-rich dishes among their high-dining options. Limosneros’ back-lit bar draws the eye through the space and mezcal hangs from the ceiling in teardrop-shaped receptacles. 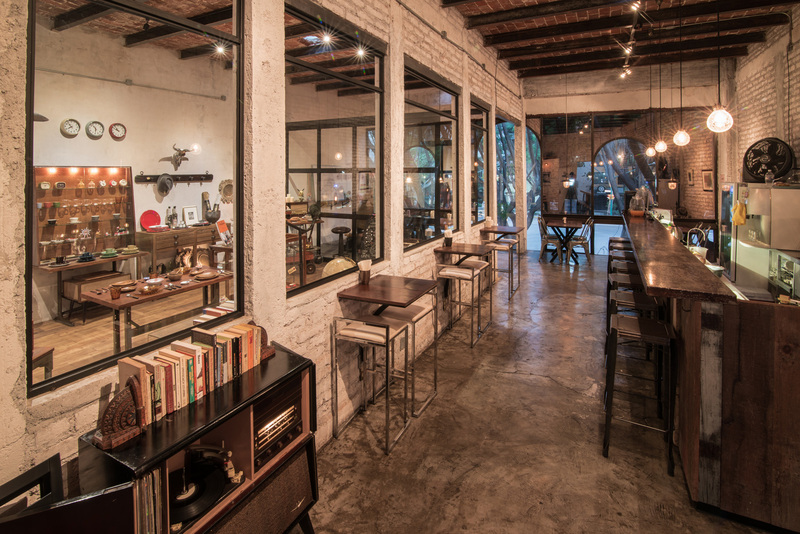 Japanese minimalism inspires this laidback restaurant in a period building on Plaza Washington, part of the effortlessly cool Juarez neighbourhood. If diners aren’t impressed with the exposed brickwork, large metal-framed windows and feature lighting, they will certainly enjoy the design pieces sold in the vintage store housing the restaurant. 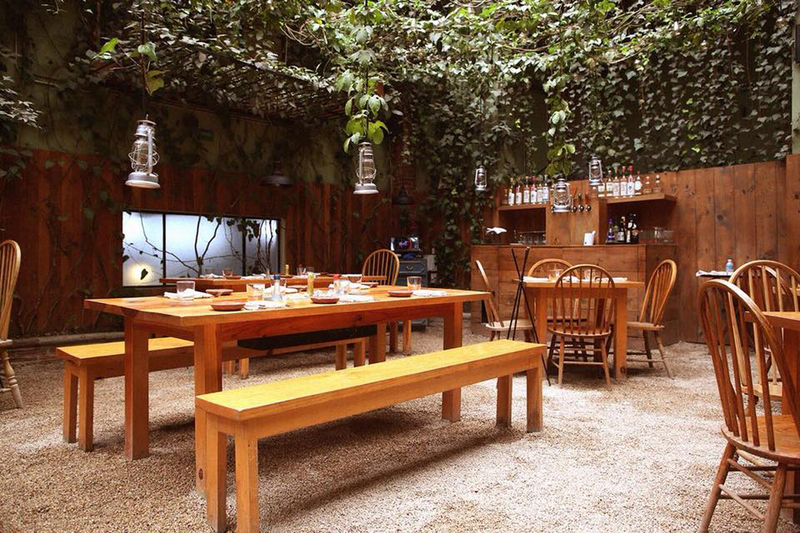 Designed by Walter Meyenberg, this country-chic Mexico City restaurant, has an ever-changing atmosphere. By day the patio feels like an elegant pub garden, with green plants climbing around wooden fencing and bench-like tables sunk into a gravel floor. 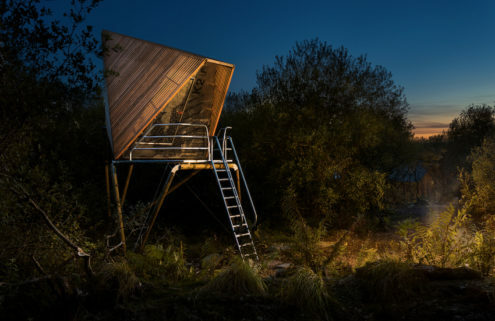 By night, the halogen bulbs snake across the retractable roof, giving the romantic feeling of a picnic under the stars. Rosetta is housed within an elegant, early 20th-century mansion and has a sophisticated yet homely feel thanks to its abundance of greenery. 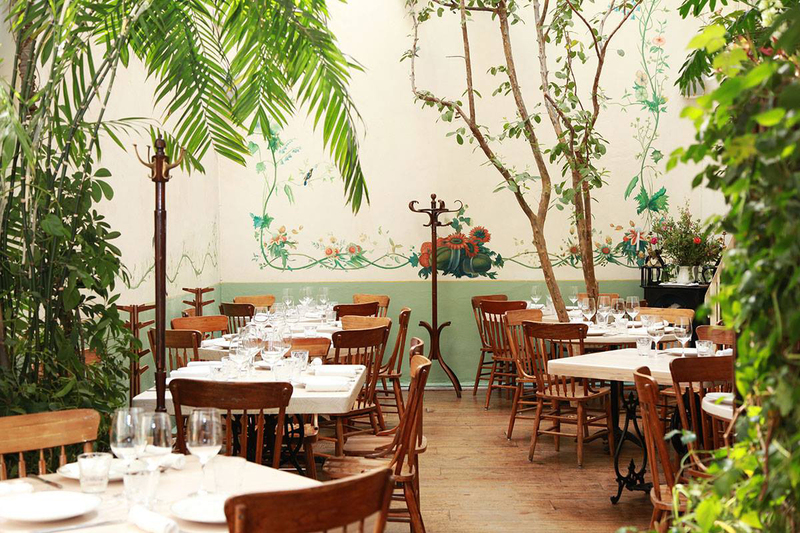 Floral frescos give the Mexico City restaurant a Tuscan flavour to match its Italian menu, devised by Elena Reygadas – one of the city’s most important chefs.